a. ^ Each atoll has its own administrative centre. b. ^ Final count for 2011 Tokelau Census of Population and Dwellings, Statistics New Zealand. The Census population figure of 1,411 includes 268 usual residents of Tokelau who were absent on census night. Tokelau (/ˈtoʊkəlaʊ/) is an island country and dependent territory of New Zealand in the South Pacific Ocean that consists of three tropical coral atolls (from the northwest, Atafu, Nukunonu and Fakaofo, as well as Swains Island which is governed as part of American Samoa) with a combined land area of 10 km2 (4 sq mi) and a population of approximately 1,400. Its capital rotates yearly between the three atolls. Tokelau lies north of the Samoan Islands, Swains Island being the nearest, east of Tuvalu, south of the Phoenix Islands, southwest of the more distant Line Islands, and northwest of the Cook Islands. Tokelau includes three atolls in the South Pacific Ocean between longitudes 171° and 173° W and between latitudes 8° and 10° S, about midway between Hawaii and New Zealand. They lie about 500 kilometres (311 miles) north of Samoa. The atolls are Atafu, Nukunonu, both in a group of islands once called the Duke of Clarence Group, and Fakaofo, once Bowditch Island. Their combined land area is 10.8 km2 (4.2 sq mi). The atolls each have a number of coral islands, where the villages are situated. The highest point of Tokelau is just 5 metres (16 feet) above sea level. There are no ports or harbours. Tokelau lies in the Pacific tropical cyclone belt. A fourth island that is culturally, historically, and geographically, but not politically, part of the Tokelau chain is Swains Island (Olohega), under United States control since about 1900 and administered as part of American Samoa since 1925. Swains Island was claimed by the United States pursuant to the Guano Islands Act, as were the other three islands of Tokelau, which claims were ceded to Tokelau by treaty in 1979. In the draft constitution of Tokelau subject to the Tokelauan self-determination referendum in 2006, Olohega was also claimed as a part of Tokelau, though the claim was surrendered in the same 1979 treaty. 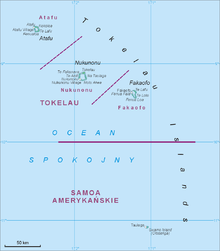 This established a clearly defined boundary between American Samoa and Tokelau. Missionaries preached Christianity in Tokelau from 1845 to the 1860s. 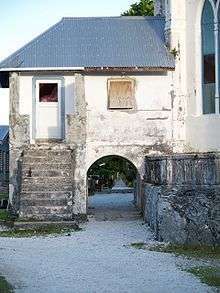 French Catholic missionaries on Wallis Island (also known as 'Uvea) and missionaries of the Protestant London Missionary Society in Samoa used native teachers to convert the Tokelauans. Atafu was converted to Protestantism by the London Missionary Society, Nukunonu was converted to Catholicism and Fakaofo was converted to both denominations. Peruvian slave traders arrived in 1863 and kidnapped nearly all (253) of the able-bodied men to work as labourers. The men died of dysentery and smallpox, and very few returned to Tokelau. With this loss, the system of governance became based on the "Taupulega", or "Councils of Elders", where individual families on each atoll were represented. During this time, Polynesian immigrants and American, Scottish, French, Portuguese and German beachcombers settled, marrying local women and repopulating the atolls. In 1877, the islands were included under the protection of the United Kingdom by an Order in Council that claimed jurisdiction over all unclaimed Pacific Islands. Commander C. F. Oldham on HMS Egeria landed at each of the three atolls in June 1889 and officially raised the Union Flag, declaring the group a British protectorate. In conformity with desire expressed by "the Native government" they were annexed by the United Kingdom and included in the Gilbert Islands by the Tokelau Islands (Union Islands) Order in Council, 1916. The annexation took place on 29 February 1916. From the point in time that the islands were annexed, their people had the status of British subjects. Tokelau was removed from the Gilbert and Elllice Islands Colony and placed under the jurisdiction of the Governor-General of New Zealand in 1925, two Orders in Council being made for the purpose on the same day. This step meant that New Zealand took over administration of Tokelau from the British on 11 February 1926. At this point, Tokelau was still a territory under the sovereignty of the United Kingdom but administered by New Zealand. The Union Islands (Revocation) Order in Council, 1948 after reciting the agreement by the governments of the United Kingdom and New Zealand that the islands should become part of New Zealand, revoked the Union Islands (No. 2) Order in Council, 1925, with effect from a date fixed by the Governor-General of New Zealand after he was satisfied that the New Zealand Parliament had provided for the incorporation of the islands with New Zealand — as it did by the Tokelau Islands Act 1948. Tokelau formally became part of New Zealand on 1 January 1949. The Dominion of New Zealand, of which Tokelau formerly was a part, has since been superseded by the Realm of New Zealand, of which Tokelau remains a part. Defence is the responsibility of New Zealand. When the British Nationality and New Zealand Citizenship Act 1948 came into effect on 1 January 1949, Tokelauans who were British subjects gained New Zealand citizenship – a status they still hold. Villages are entitled to enact their own laws regulating their daily lives and New Zealand law only applies where it has been extended by specific enactment. Serious crime is rare and there are no prisons — offenders are publicly rebuked, fined or made to work. The head of state is Elizabeth II, the Queen in right of New Zealand, who also reigns over Australia, the United Kingdom and the other Commonwealth realms. The Queen is represented in the territory by acting Administrator Linda Te Puni (as of 2016). The current head of government is Foua Toloa (as of 2011-02-21), who presides over the Council for the Ongoing Government of Tokelau, which functions as a cabinet. The Council consists of the faipule (leader) and pulenuku (village mayor) of each of the three atolls. The Administrator is appointed by the Minister of Foreign Affairs and Trade of New Zealand, and the office of Head of Government rotates between the three faipule for a one-year term. According to the US Central Intelligence Agency's list of countries by GDP (PPP) Tokelau has the smallest economy of any country in the world. Tokelau has an annual purchasing power of about US$1,000 (€674) per capita. The government is almost entirely dependent on subsidies from New Zealand. It has annual revenues of less than US$500,000 (€336,995) against expenditures of some US$2.8 million (€1.9 million). The deficit is made up by aid from New Zealand. Tokelau has plans to only use renewable energy. If this is achieved it will be the only nation to have achieved this goal. It is expected that by mid-2012 Tokelau's electricity supply will be 93% generated by photovoltaics, with the remainder generated from coconut oil. On 7 November 2012, the islands have met these goals and become the first territory in the world to meet all of their electricity needs from solar power, according to the Foreign Affairs Minister of New Zealand, Murray McCully. Tokelau has increased its GDP by more than 10% through registrations of domain names under its top-level domain, .tk. Registrations can be either free, in which case the user owns only usage rights and not the domain itself, or paid, which grants full rights. Free domains are pointed to Tokelau name servers, which redirects the domain via HTML frames to a specified address or to a specified A or NS record, and the redirection of up to 250 email addresses to an external address (not at a .tk domain). Free domains have no requirements for third party advertisements but have a minimum traffic limit of 25 unique visitors in any 90-day period. If this limit is not reached, the domain is suspended and the owner has 10 days to either convert the domain to a paid domain or have the domain deregistered. Three solar power stations are planned to provide 100% electricity from photovoltaics, with battery backup. The first power station was completed in August 2012. In total, 4,032 solar panels will be used and 1,344 batteries weighing 250 kg each, and make Tokelau the first nation in the world to be 100% powered by solar power. The systems are designed to withstand winds of 230 km/h (143 mph). Previously electricity was generated using diesel generators, and was only available about 16 hours/day. According to the 2011 Tokelau Census, Tokelau has a de jure usually resident population of 1,411 people. The census shows a 3.8% decrease in the de jure usually resident population between 2006 and 2011. The nationals of Tokelau are called Tokelauans, and the major ethnic group is Polynesian. The country has no minorities. The major religion is the Congregational Christian Church and the main language is Tokelauan, but English is also spoken. 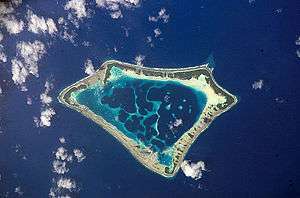 Tokelau has fewer than 1,500 Polynesian inhabitants in three villages. Their isolation and lack of resources greatly limits economic development and confines agriculture to the subsistence level. The very limited natural resources and overcrowding are contributing to emigration to New Zealand and Samoa, resulting in a population decline of about 0.9% per year. Depletion of tuna has made fishing for food more difficult. While slightly more females than males live on Atafu and Fakaofo, males make up 57% of Nukunonu residents. Only 9% of Tokelauans aged 40 or more have never been married. One-quarter of the population were born overseas; almost all the rest live on the same atoll they were born on. Most households own 5 or more pigs. Due to its small size, Tokelau is unaffiliated to most international sports organisations, and rarely takes part in international events. The only significant international competition the country takes part in is the Pacific Games. Tokelau won its first ever gold medals at the 2007 Pacific Games in Apia, winning a total of five medals (three gold, a silver and a bronze), all in lawn bowls, and finishing twelfth (out of twenty-two) on the overall medal table. This included two gold medals for Violina Linda Pedro (in the women's pairs and the women's singles), making her Tokelau's most successful individual athlete to date. Tokelau does have a National Sports Federation, and the most important sports event within the country is arguably the Tokelau Games which are held yearly. When they are held, "all of Tokelau virtually stands still", as "[i]n excess of 50% of the population take part and all work and school stops at the time". The 2010 Games included competitions in rugby sevens, netball and kilikiti, alongside "a cultural evening [...] where each atoll showcases their traditional songs and dances". Many Tokelauan youth travel to New Zealand to further their education and the ship is full around Christmas time with students returning home and then heading off for another year of study. Tokelau has a radio telephone service between the islands and to Samoa. In 1997, a government-regulated telephone service (TeleTok) with three satellite earth stations was established. Each atoll has a radio-broadcast station that broadcasts shipping and weather reports and every household has a radio or access to one. News is disseminated through the government newsletter "Te Vakai". Tokelau is served by the MV Tokelau, owned by the country, with the trip from Apia in Samoa taking a little over a day. Ships load and unload cargo by motoring up to the down-wind (leeward) side of the islet where the people live and maintaining station, by intermittent use of engines, close to the reef edge so that a landing barge can be motored out to transfer cargo to or from the shore. On returning to shore, the barge negotiates a narrow channel through the reef to the beach. Usually this landing is subject to ocean swell and beaching requires considerable skill and, often, coral abrasions to bodies. When bad weather prevents the barge making the trip, the ship stands off to wait for suitable weather or goes off to one of the other atolls to attempt to load or unload its passengers or cargo, or both. There is no airport in Tokelau, so boats are the main means of travel and transport. Some seaplanes and amphibious aircraft are able to land in the island's lagoons. An airstrip was considered by the New Zealand Government in 2010. Cyclone Percy struck and severely damaged Tokelau in late February and early March 2005. Forecasters underestimated the cyclone's strength and the length of time it would be in vicinity to Tokelau. It coincided with a spring tide which put most of the area of the two villages on Fakaofo and Nukunonu under a metre of seawater. The cyclone also caused major erosion on several islets of all three atolls, damaging roads and bridges and disrupting electric power and telecommunications systems. The cyclone did significant and widespread damage to food crops including bananas, coconuts and pandanus. It did not seriously injure anyone but villagers lost significant amounts of property. The geographic future of Tokelau depends on the height of sea level. No significant land is more than two metres (6.6 feet) above high water of ordinary tides. This means Tokelau is particularly vulnerable to any possible sea level rises. ↑ Tokelau: Wrong local time for over 100 years Archived 2 April 2014 at the Wayback Machine. ↑ "Welcome to sunny Tokelau, an untouched Pacific Paradise". Archived from the original on 17 January 2010. ↑ "Official site for the Tokelau Council of Ongoing Government". Archived from the original on 20 February 2014. Retrieved 4 November 2007. The basis of Tokelau's legislative, administrative and judicial systems is the Tokelau Islands Act 1948 and its amendments. (See the link "LAW") In November 1974 the administration of Tokelau was transferred from the Mäori and Island Affairs Department to the Ministry of Foreign Affairs. From then until September 1980, when the Tokelau administration regulations were amended, the New Zealand Secretary of Foreign Affairs was the administrator of Tokelau. New regulations then came into force whereby the Minister of Foreign Affairs was empowered to appoint a suitable person to be the Administrator of Tokelau. 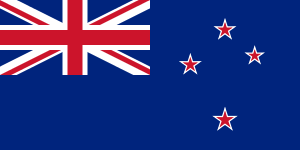 The New Zealand flag is used and the anthem is God Save the Queen. ↑ "Western Polynesian tropical moist forests". Terrestrial Ecoregions. World Wildlife Fund. Retrieved 27 May 2012. ↑ PEW: Tokelau Declares Shark Sanctuary, 7 September 2011 Archived 26 February 2014 at the Wayback Machine. ↑ "Archeology of Atafu, Tokelau: Some Initial Results 2008". Archived from the original on 21 June 2013. Retrieved 12 November 2010. ↑ Fakaofo Archived 16 October 2012 at the Wayback Machine. 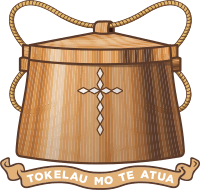 1 2 "Tokelau". New Zealand Ministry of Foreign Affairs and Trade. Archived from the original on 21 August 2011. Retrieved 29 September 2007. ↑ Byron, John; Wallis, John Samuel; Carteret, Philip; Cook, James; Banks, Sir Joseph (1773). An Account of the Voyages Undertaken. W. Strahan. pp. 132–133. ↑ Sharp, Andrew (1960). The Discovery of the Pacific Islands. Clarendon Press. p. 164. ↑ Polynesian Society (N. Z.) (1961). The Journal of the Polynesian Society. Polynesian Society. p. 102. 1 2 3 "Information Bulletin on Tokelau". New Zealand Ministry of Foreign Affairs and Trade. Archived from the original on 13 May 2014. Retrieved 29 September 2007. ↑ Nathaniel Bowditch (1773–1838) was an American mathematician remembered for his work on ocean navigation. ↑ Wilkes, Charles (1849). Voyage Round the World. Geo. W. Gorton. p. 538. ↑ People Archived 6 May 2013 at the Wayback Machine. ↑ "UTC offset for years 2000–2009 in Fakaofo, Tokelau". Retrieved 7 August 2012. ↑ "UTC offset for years 2010–2019 in Fakaofo, Tokelau". Retrieved 7 August 2012. ↑ "Tokelau to join Samoa and leap forward over dateline". BBC News. 6 October 2011. Archived from the original on 29 October 2012. Retrieved 1 November 2011. ↑ "Tokelau: Wrong local time for over 100 years". Archived from the original on 2 April 2014. Retrieved 7 August 2012. ↑ Lister, J.J. (1892). "Notes on the Natives of Fakaofu". Journal of the Royal Anthropological Institute. Royal Anthropological Institute of Great Britain and Ireland. 21: 43–63. JSTOR 2842209. ↑ The Union Islands Order in Council Nos. 1 and 2, S.R.O. 1925, pp. 511 and 1768; No. 1 Order in S.R.O. % S.I. Rev. IX, 663. ↑ Green, David (13 July 2012). "Citizenship — Aliens and citizens". Te Ara — the Encyclopedia of New Zealand. Ministry for Culture and Heritage. Retrieved 27 August 2016. ↑ "Official site for the Tokelau Council of Ongoing Government". Archived from the original on 20 February 2014. Retrieved 4 November 2007. The legislation and judicial systems are based on the Tokelau Act, 1948, and its amendments. A major law reform project is continuing; its purpose is to ensure that Tokelau has a coherent body of law which responds to current needs and gives due recognition to local custom. Unless it is expressly extended to Tokelau, New Zealand statute law does not apply to the territory. In practice, no New Zealand legislation is extended to Tokelau without Tokelauan consent. The villages have the statutory power to enact their own laws covering village affairs. International covenants on economic, social and cultural rights and civil and political rights, ratified by New Zealand in December 1978, apply in Tokelau. Civil and criminal jurisdiction is exercised by commissioners and the New Zealand high court. 1 2 3 4 "How Tokelau is Governed". Tokelauan Council of Ongoing Governance. Archived from the original on 7 May 2013. Retrieved 29 June 2010. ↑ "Fono decisions". Archived from the original on 22 August 2007. Retrieved 29 September 2007. ↑ "Tokelau rejects self-rule". Television New Zealand. Archived from the original on 13 May 2014. Retrieved 29 September 2007. ↑ Parker, Ian (1 May 2006). "Letter from Polynesia: Birth of a nation?". The New Yorker. Archived from the original on 3 June 2013. Retrieved 29 September 2007. ↑ "Tokelau stays as NZ's last colony". Television New Zealand. Archived from the original on 13 May 2014. Retrieved 25 October 2007. ↑ "Colonialism has no place in today's world," says Secretary General in message to Decolonization Seminar in Indonesia", United Nations press release, 14 May 2008 Archived 3 February 2014 at the Wayback Machine. ↑ John Key's speech to the NZ Institute of International Affairs, 8 April 2008 Archived 30 September 2012 at the Wayback Machine. 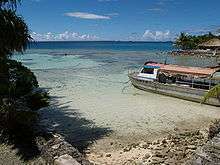 ↑ "ABC Pacific News reports Tokelau target of 100% renewable energy". Abcasiapacificnews.com. 9 December 2011. Archived from the original on 12 May 2014. Retrieved 30 December 2011. ↑ Coconuts and sunshine will power South Pacific islands New Scientist, published 2011-09-13, accessed 14 September 2011 Archived 12 May 2014 at the Wayback Machine. ↑ BBC Archived 20 February 2014 at the Wayback Machine. ↑ "Net gains for tiny Pacific nation". BBC News. 14 September 2007. Archived from the original on 12 May 2014. Retrieved 24 May 2008. ↑ Andres, Tommy. "The tiny island with a huge Web presence." CNN. 13 June 2012. Retrieved on 15 June 2012. Archived 12 May 2014 at the Wayback Machine. ↑ "Final count for 2011 Tokelau Census of Population and Dwellings". 2011 Tokelau Census. Statistics New Zealand. Archived from the original on 3 February 2014. Retrieved 16 December 2011. ↑ "2006 Tokelau Census of Population and Dwellings" (PDF). 20 December 2006. pp. Table 2.5. Archived from the original (PDF) on 12 October 2013. Retrieved 11 November 2009. ↑ Tokelau Census of Population and Dwellings, Table 1.3.1. ↑ Tokelau Census of Population and Dwellings, Table 1.5. ↑ Tokelau Census of Population and Dwellings, Table 3.2. ↑ Tokelau Census of Population and Dwellings, Table 6.13. ↑ "Regions and territories: Tokelau". BBC News. 16 June 2011. Archived from the original on 13 October 2011. Retrieved 23 November 2011. 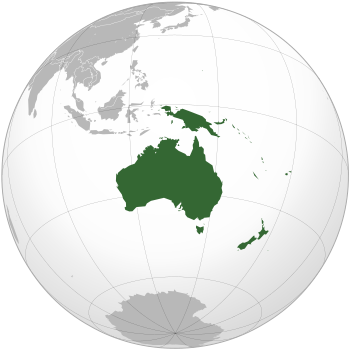 ↑ "Australia-Oceania :: TOKELAU". CIA The World Factbook. 1 2 "Tokelau, a Speck in the Ocean but an Important New Member for Oceania", International Table Tennis Federation, 7 October 2010 Archived 3 October 2012 at the Wayback Machine. ↑ "SPORT: OUR QUEST FOR GOLD", Islands Business Archived 8 March 2012 at the Wayback Machine. ↑ Participants, website of the 2010 Commonwealth Games Archived 6 October 2010 at the Wayback Machine. ↑ McQuarrie, Peter (2007). Tokelau People, Atolls and History. Wellington, New Zealand: Publications Committee of MacMillan Browne Centre for Pacific Studies. ISBN 978-1-877449-41-3. ↑ "Tokelau", Rec.Sport.Soccer Statistics Foundation, 29 July 2010.